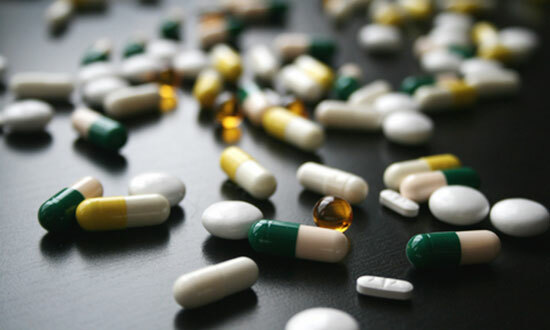 If you suffer from a medical condition or disease, you may take one or more medications. You trust that they are going to help you – not hurt you. Unfortunately, many prescription and over-the-counter medications cause serious side effects, such as eye conditions. If you developed an eye disease or eye condition and you think it was because of a medication you've taken, contact Edgar Snyder & Associates right away. You may have a dangerous drug case, and we can help. There are many prescription and over-the-counter medications that may cause side effects such as blurred vision, double vision, and eyesight problems. Some of these medications can cause serious eye disorders, and even result in loss of eyesight. Several prescription drugs are known to cause glaucoma, which can lead to blindness. Drugs known to cause glaucoma include corticosteroids (cortisone or prednisone), certain anticancer drugs, sulfa drugs, and topiramate (Topamax). Many drugs have been linked to Stevens-Johnson syndrome, which can cause large blisters that seriously damage the cornea. If you trusted a medication to help you, and it caused you to develop an eye disease instead, you may have a case. Edgar Snyder & Associates has experience with dangerous drug cases. We know the complicated details that go into proving dangerous drug side effects, and we're ready to go to work for you. From the moment you hire our law firm, we take care of the hassles. We answer your questions quickly, and without the legal jargon. We gather evidence, medical records, and other information needed to prove your dangerous drug case. We help you figure out your medical bills. And we fight to get you the money you deserve for your eye condition. Do you have an eye condition and think it might be related to a prescription or over-the-counter medication? Get started now, before it's too late – there are time limits to file a claim. Call 1-866-943-3427, or fill out the form at the top right of this page for a free legal consultation of your eye injury claim. It's absolutely free, and there's no obligation to use our services. Contact us now to find out if you have a case.